GRACE ABOUNDS! 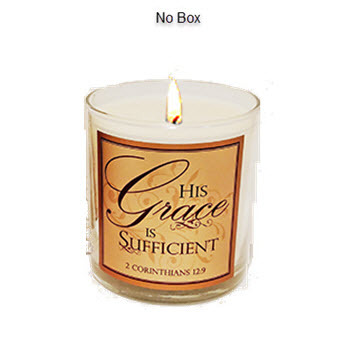 This inspirational candle, adorned with the Scripture "His Grace is Sufficient" (2 Cor 12:9), is a beautiful reminder of the Grace of the Almighty available to all who believe! Offered in our beautiful MYRRH fragrance, our long-burning candle (26-30 hrs) comes in an eco-friendly box making it a great gift for under $11! Glass measures 3"H.